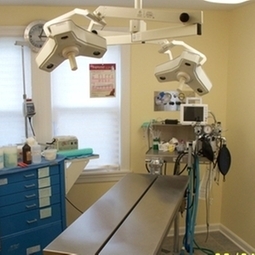 Our highly skilled veterinarians can perform a wide-range of surgeries for your pet, from standard spay and neuter procedures to more complex surgeries, including orthopedic procedures. At a discharge appointment we will review your pet's after care instructions. A board-certified specialist is available to perform complex orthopedic surgeries.